England vs Pakistan 2nd Test Day 3: England wrapped up the second match of the two-match series within three days to level the series 1-1. Pakistan were handed a deficit of 189 runs. Salahuddin and Imam ul Haq showed some resistance but no other batsman applied himself and the visiting team were bundled out for 134. Earlier, Buttler saw England take a huge lead as he scored an unbeaten 80 runs. Pakistan were bowled out for 174 in the first innings. Mohammad Amir, who is having a bit of a struggle with his elbow, gave away 12 runs in his over. A couple of boundaries from Buttler, who is looking to hammer away at the moment, while four leg byes. Expensive over. Mohammad Abbas starts off with the ball for Pakistan while Jos Buttler and the debutant Sam Curran come down in the middle to bat. Pakistan will hope Abbas can deliver early wickets and finish off England's innings in the first hour. It is the third day of the second Test, and the match appears to be completely one-sided now. 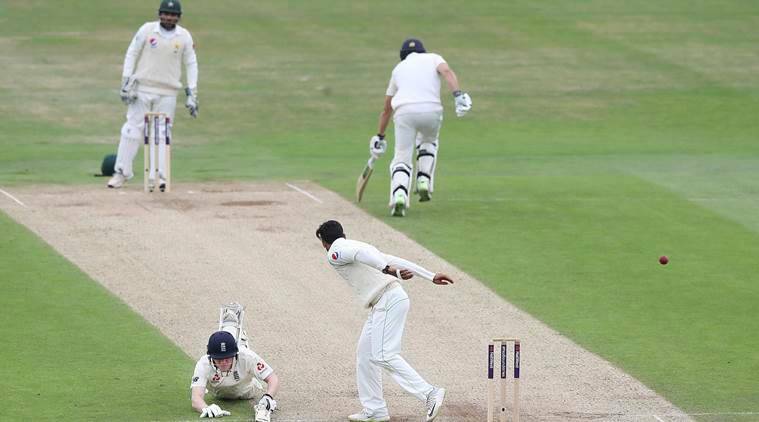 Pakistan were bundled out for 174, while England managed to reach 302/7 with a strong lead of 128. With Jos Buttler still in the middle, the hosts will hope they can extend their lead further on DAy 4, but Pakistan will be eager to find a way to bounce back. The result of the first Test against Pakistan raised massive questions on England's cricket team performance. The Three Lions suffered a horrendous loss on Day 4, that has triggered cricketing pundits into doubting whether they are up for the tougher challenges against Australia and India, which are on the horizon. The home conditions did little to give the Joe Root-led side any advantage, and the struggling batting unit has much to do to get the confidence back. The second Test against Pakistan is a good opportunity for England to get a major push and boost their confidence. England are likely to make significant changes in their playing XI.